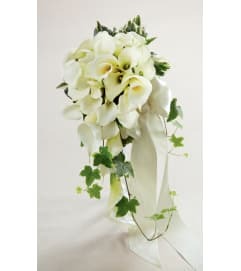 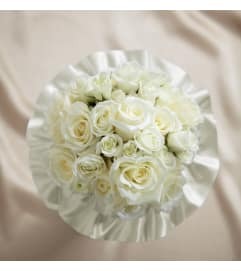 The FTD® Regency™ Centerpiece is a fantastic display of blooming elegance to give your wedding guests an impression that will last a lifetime. Red roses, spray roses, mini calla lilies, hanging amaranthus and bi-colored red and white roses are arranged to perfection and situated within a silver candelabra holding four white taper candles. 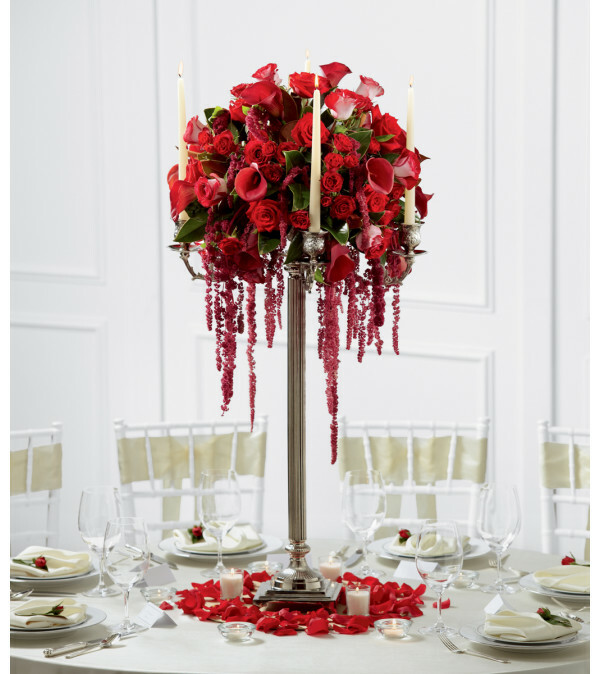 At the base of this arrangement are additional votive candles and scattered rose petals to create a high impact look of sweet sophistication.